The Blue Jays began their final homestand of the season tonight. Going into the game, the Blue Jays were .500 at home with a record of 37-37. Sam Gaviglio was on the mound tonight and he pitches much better at home. The Rays were having their usual bullpen game, which has been highly effective as the Rays could get 90 wins this season and they have an outside chance of making the playoffs. Here's hoping the Blue Jays play spoiler once again. Here is today's game recap. The Blue Jays got one back in the bottom of the 9th as as Tellez doubled home Dwight Smith Jr.
Luckily the Blue Jays were in the mood for an epic comeback in the ninth, scoring 7 runs on 6 hits and a hit batter. 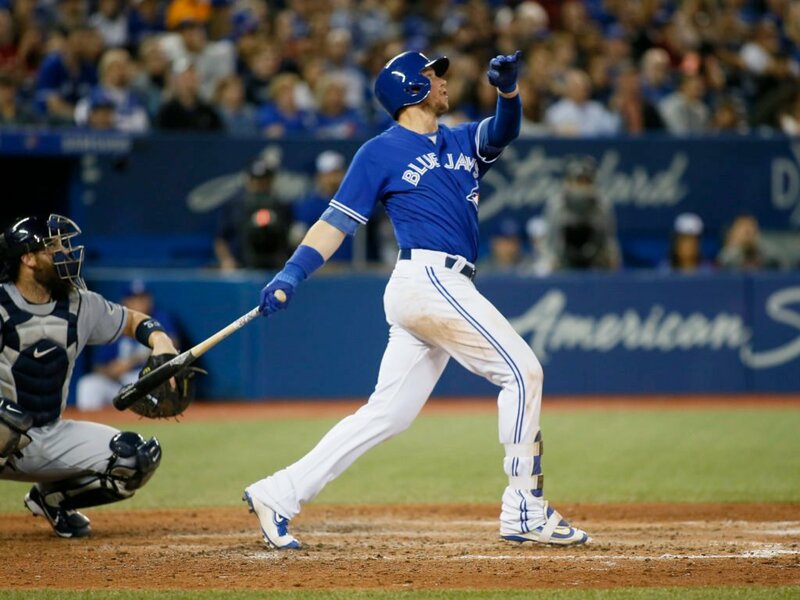 This might have been the best game the Blue Jays played all year. The loss drove another nail into the Rays coffin. Dwight Smith Jr. came in as a defensive replacement in the 9th. He did not have a play defensively. He doubled and scored the Blue Jays 3rd run. Rowdy Tellez had a huge day at the plate with a 2 for 4 effort, 3RBI and a pair of runs scored. Defensively, he was involved in 10 plays. Reese McGuire struck out batting for Aledmys Diaz in the 9th. Mark Leiter Jr. was lit up for four runs on three hits and a walk in a third of an inning.